Although Cajun music was the folk (and only) music of a greater part of southwest Louisiana for two hundred years, it was virtually unknown outside of the area until the late 1920s and early 1930s when some 78-rpm records were published. 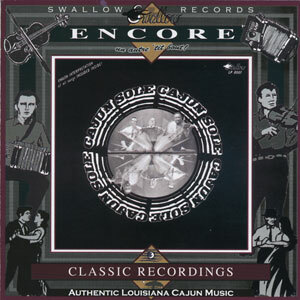 Cajun music made its live debut when the Mamou Cajun Band (Cyp & Adam Landreneau) played at the National Folk Festival in Oklahoma City, Oklahoma in 1957. Originally released on LP in 1976 (SW 8001); re-issued on CD in 2003, 11 tracks.